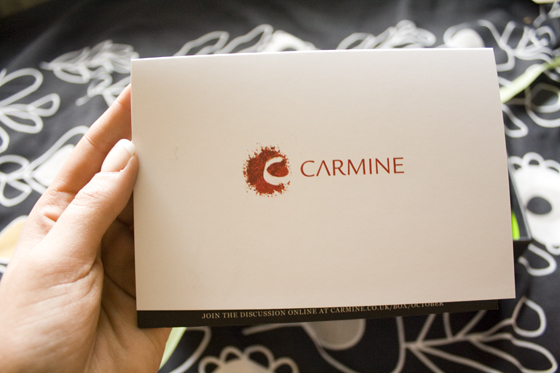 Carmine Box is another yet another sample box (YAWN, IKR), I mentioned it in yesterdays post about the Feel Unique Beauty Box. I found it via someones blog a few days ago and then automatically signed up purely to see what may come. 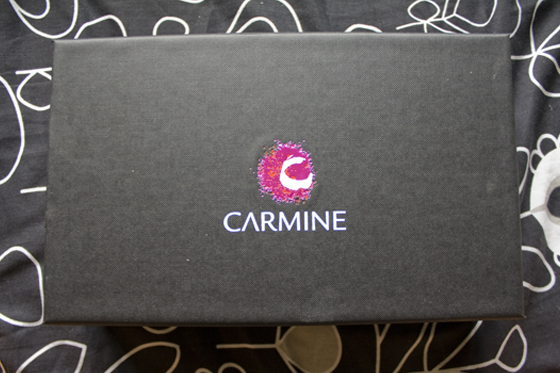 The Carmine box is priced at £10 plus £2.95 postage, which is the same price as a Glossy Box. To be honest, Im not impressed by it at all. First off I don't like the packaging I think its too big in relation to the contents, I dont like the colour scheme or the logo either. This is probably just my personal taste and graphic design snobbery coming through. Moving on from the way the box actually looks, The contents aren't to my personal taste either. Hand cream is something I like having but hardly use, just tends to be something I chuck into my bag. Although my nails need repairing, I know this isn't gonna be something Id bother with as I use fake nails so much I dont really give my nails time to breathe and fix. 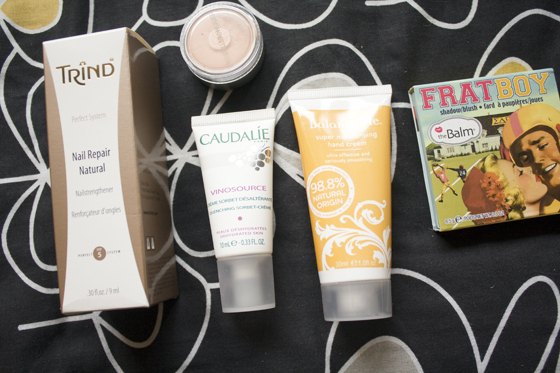 I'm sure I'll use the Caudalie moisturizer but another sample came with my Feel Unique Beauty Box and I already use a Caudalie face cream which I really like. The blush is OK, its a safe universal colour and applies nicely. I do however love the Daniel Sandler eyeshadow too as its a very "me" colour being a peachy gold shimmer. I just dont love anything or really interested in trying any of the items. 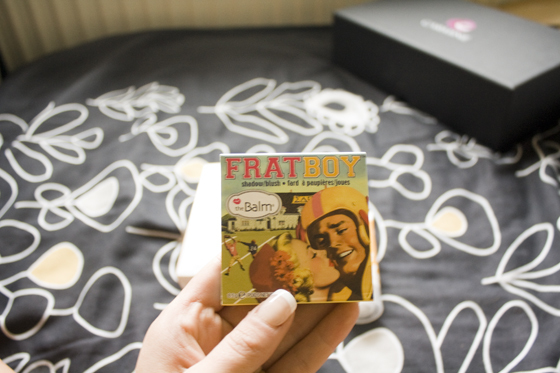 Although its got two makeup samples in this box (Id love to see a totally makeup focused beauty box! ), the rest of the items just don't wow me! I'm going to cancel the subscription for the Carmine Box. Its just not doing it for me at all, seems very lackluster compared to the other boxes I've received in the past. I think I have a fear of missing something with sample boxes so just sign up to them willy-nilly. Cant really afford to be shelling out for all of them on a monthly basis. I don't mind trying a new box or sampling just one month (most you can cancel on a month to month basis!) just to see the contents every now and again. Im not dissapointed, because I've just realised its not for me. Like with all of the sample boxes its a risk!I still need to decide between Glossy Box & Boudoir Prive! If anyone has any other brands doing boxes let me know! carmine sounds a bit too similar to charmin, the toilet roll brand, haha! can see what you mean about the products in this being a little lack-lustre. these boxes seem to be everywhere at the minute and i've no idea which one seems to suit me best.. i completely agree with you on the idea of a just make-up box, i think that'd be something i'd love to get my wee hands on! i think what puts me off is the idea of being send loads of products that i just know would get thrown to the back of my cupboard. Wow, I had not heard about this one before but I think you're right, its still got to be between Glossybox and Boudoir Prive! Argh not more beauty boxes! Agree with you about wishing there was one just for make up. I have lotion samples coming out my ears and don't tend to try new things as I like my current routine so stick with it. I'm far more fickle when it comes to make up - but nothing will tear me away from my Nivea! Like Crafty Nell said, so many beauty boxes! I didn't know this many even existed! But at least you've got it down to two boxes now, and perhaps even find a purely makeup box! Yeah, from what I've read about it, it doesn't seem as exciting as the others. I think for now my favourite I've read about is the Feel Unique one that you posted about - good price tag, too! Still won't be subscribing to any, though, haha. 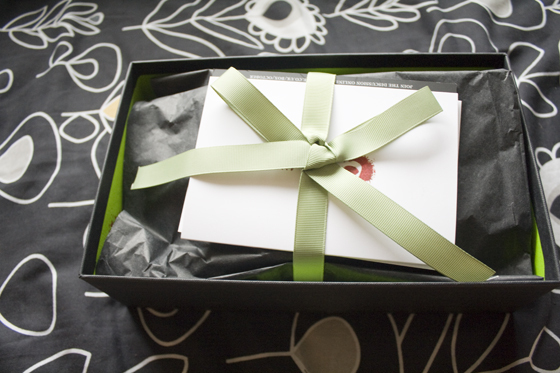 Would you recommend getting a Glossybox? After seeing them on your blog I think they look really good and it's always fun to try out new products, but do you get your moneys worth? And can you cancel it if you change your mind? I wish there was an all makeup box. I'm with you though, another box isn't necessary. 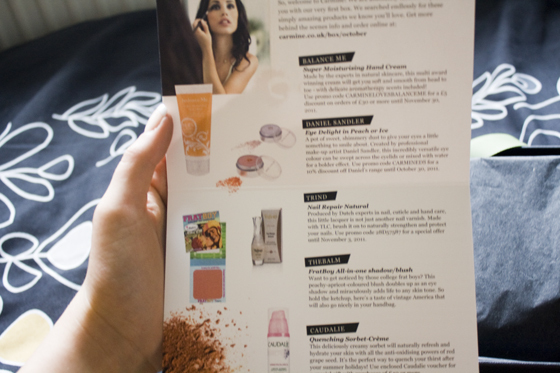 Just ordered a 'latestinbeauty.com' £1 box that Mavs posted about, very excited to try something new! i totally know what you mean about the colour scheme. this probably sounds super shallow but it was the main reason i didn't bother signing up with them.